Terminator Salvation is a 2009 American science fiction film written by John Brancato and Michael Ferris and directed by McG. It is the fourth film in the Terminator series, and stars Christian Bale as future Resistance leader John Connor and Sam Worthington as cyborg Marcus Wright. The film also introduces a young Kyle Reese from the original 1984 film, played by Anton Yelchin, as well as depicting the origin of the T-800 Model 101 Terminator. Terminator Salvation, set in 2018, focuses on the war between humanity and Skynet - a departure from the previous installments, which were set on the present day and featured time travel. After a troubled pre-production, with The Halcyon Company acquiring the rights for the franchise from Andrew G. Vajna and Mario Kassar and several writers working on the screenplay, filming began in May 2008 in New Mexico and ran for 77 days. The film is currently the most expensive independent production in history. 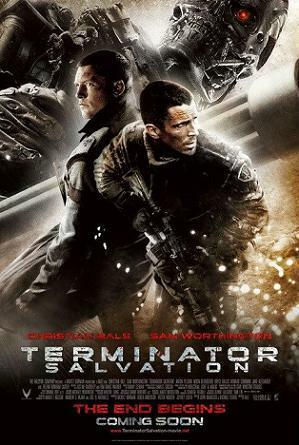 Terminator Salvation was released on May 21, 2009 in the United States and Canada, followed by early June releases in the United Kingdom, Australia, New Zealand, and South Africa.